Easy way to print: right click, copy image, and paste into word document. Then print. I enjoy the community and the support I have received. It’s a nice place to work. I am able to create an environment that reflects my personality and my standards for quality and customer service. My mentor is BJ Propokof from Brunette Mix. I have known her for 25 years. Her mantra is, “Why can’t you?” She has been a real inspiration to me. Spend time with my boyfriend and my four-legged children (my pets). I like to hang out with family and friends and try to relax! I grew up here. It has a small town feel with the quality of downtown. 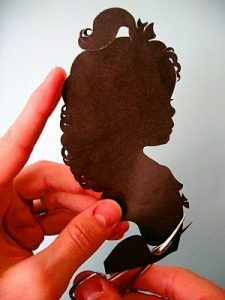 Create the perfect gift for Mom’s Day…..a silhouette cut by Karl Johnson Cut Arts….a third generation silhouette artist. Appointments every 5 minutes from 10-6. $25 for the first cut/$15 for each cut thereafter. Eric Fridrich at Shadowland 8pm. Acoustic Soul, Afro Cuban Rock, Tropical Soul. 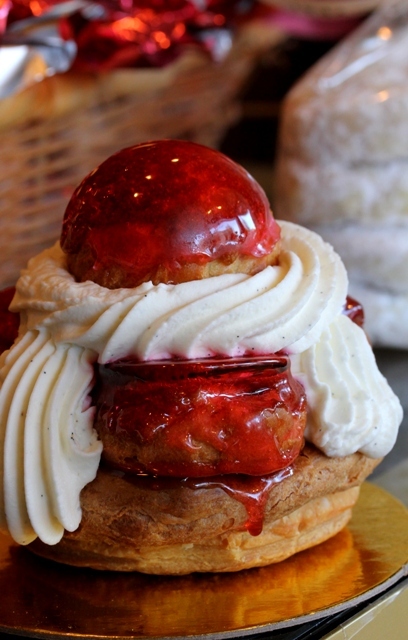 When it comes to sweets, West Seattleites know The Junction is where it’s at. There’s a treat for every day of the week, from Shoofly Pie Shop to good-for-you grains at Great Harvest. Find your inner prince or princess at Cupcake Royale and teleport to Paris via Bakery Nouveau. 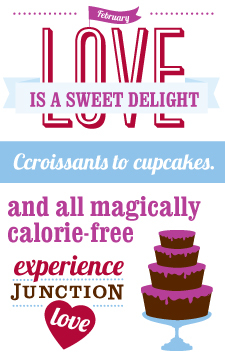 With this much to love, dessert-for-dinner is a completely valid option. 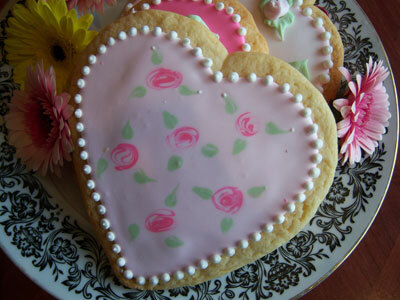 Follow us on Facebook for weekly tips that will sweeten your day! I love being a part of the community. West Seattle is a very friendly and grounded neighborhood. Fleurt has been very well received. I have my regulars who stop in each week for their weekly flowers and to browse for gifts. There are also many who stop in on a regular basis to say “hi”. My fellow merchants have also been a huge source of support and encouragement and their wisdom and shared experiences has helped me greatly. I am in my 10th month. But who’s counting! My walk-in customers are mostly West Seattle residents. 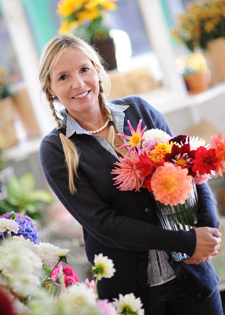 Since Fleurt is primarily a flower shop, I receive calls from all over the US for Fleurt to deliver local flowers. There is no delivery charge for flowers in West Seattle, and just a $10 charge for other Seattle locations. Recently my customers have changed a bit due to Fleurt being featured in the October edition of Seattle magazine. I have been inundated with customers from all over. Recently, I had a couple who had just landed for the weekend from Minnesota. They had picked up Seattle magazine and read about Fleurt. They were so intrigued that they decided to make a trip to West Seattle and visit! Flexibility. It offers me a balance between work and family. Growing and nurturing my business and relationships with my customers. I have taken an organic approach to starting and growing my business. 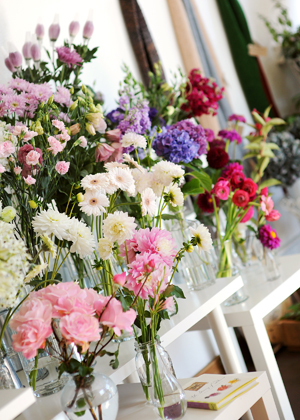 Fleurt is a locally owned independent flower shop. It is very rare in this day and economy to find a florist who is not hooked up with one of the giant network floral groups like FTD, Teleflora, 1-800. I decided early on that I did not want my business or flowers to be mandated by these types of corporations. 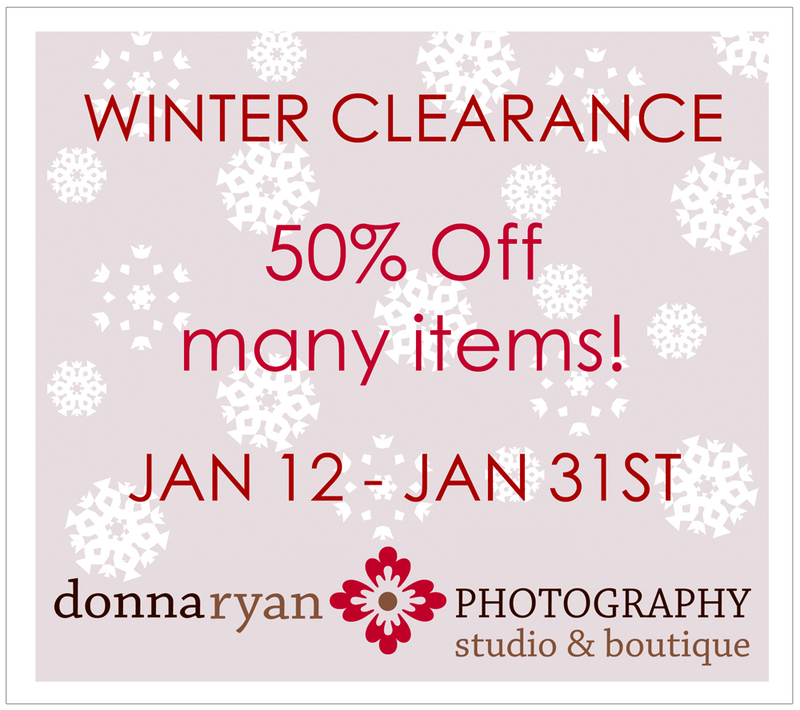 I work with local flower growers, organic farmers, & local crafters for the gifts and home décor items. Every one of my flower arrangements is unique, special and tailored specifically to the event or occasion. Fleurt is fresh, organic and a bit edgy with a twist on the traditional. You don’t see my style or approach elsewhere. I am very creative and take great pride in everything that I offer. One of my favorite parts about owning Fleurt has been working with all the local Brides and creating flowers for their weddings. I have had an overwhelming response and request for weddings. In fact, we are currently featured in Seattle Metropolitan Bride and Groom magazine – featured on the front cover in February and March. What are the challenges of owning your own business? Trying to find the perfect balance of work and home life. But that will come later. Right now it is important for me to be in the shop most of the time as I grow the business, meet with my customers and learn what their needs are. I love spending time with my family and pets. I enjoy gardening, cooking, reading, tennis, watching a good movie, walks along Alki or Lincoln Park. I also like searching out new ideas and products to bring to the shop. And traveling, especially back home to Australia! I have had several role models throughout my life, but consistently it has been my Father. He is an entrepreneur and I definitely have his genes. He taught me to take a “no fear” approach to starting and running a business. If you are passionate and love what you do, give all you have, then success will come. What other Junction shops do you patron? 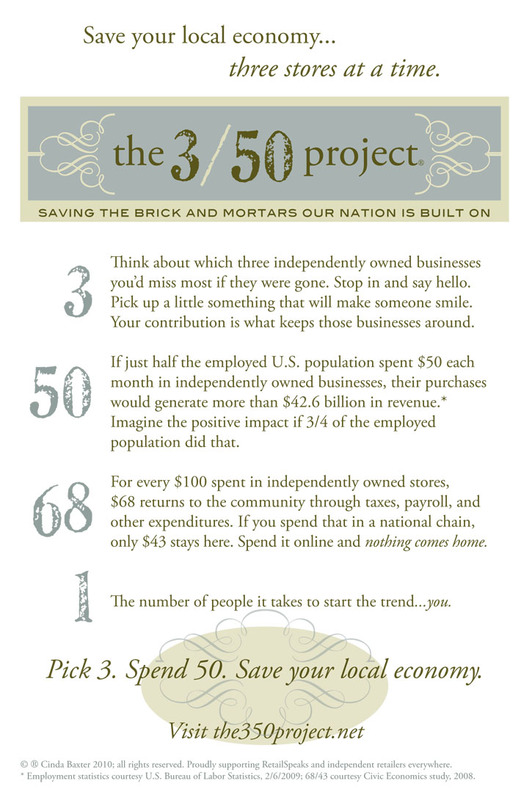 I am a huge shopper, and I love to shop in West Seattle. 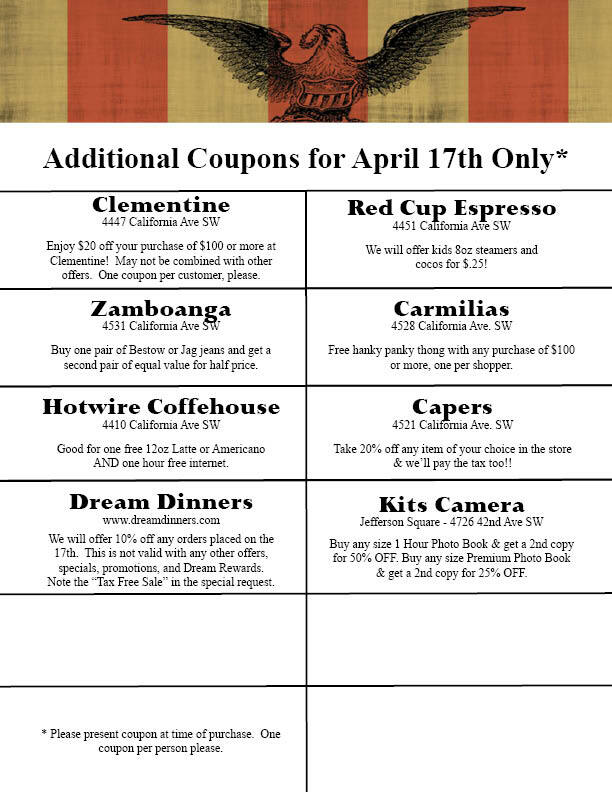 I frequent Capers, my son loves Curious Kidstuff, Petco for our pets, NW Art and Frame for cards and cute gifts and Bakery Nouveau (I love their croissants!). The north access of Lincoln Park. I love the sense of community, people, easy and convenient access to downtown, airport and mountains. I appreciate the fact that I can find anything and everything in West Seattle so I don’t feel the need to leave and cross the bridge. If you live in West Seattle, how long and where? I have lived in West Seattle for 11 years. I moved here from San Francisco. Our family lives 2 blocks down the hill from the shop. Very convenient! Anything to add about your family? My family is pretty involved with Fleurt. My daughter is my driver for flower deliveries. My son can be found after school at the back of the shop doing home work. My husband is often called upon to pick up flowers and supplies for the shop. I am thankful to my family everyday for their support, love and understanding as I grow my business and feed my creative soul.